Anime Virtual Worlds Article - Virtual Worlds Land! Rate this Article There are a lot of virtual games around, and in this article we are bringing you a selection of those with an Anime look or theme. The virtual world genre is pretty massive and due to this, it has many different games that have their own distinct art style such as the anime virtual worlds. In this article we'll be discussing these anime themed games a bit further and mentioning a few specific ones that really caught our eye. Of course the very first thing about these games that catches everyone's eye is the fact that they look really unique. The anime themed graphics are usually quite pleasing to look at and the game worlds are full many amazing sights to see. The character designs are perhaps the biggest highlight of their visuals because they look really distinct and have an incredible amount of detail within them to make them look as lifelike as possible. Aside from their visuals, most anime themed virtual worlds provide gameplay that's just as good, if not better, than traditional virtual worlds. There's tons of stuff to do in these games for example go into a high popularity area and simply socialize with people, play cool mini-games with the friends you make along your journey or simply go out and explore the world in all its beauty. Fantage is a hugely popular game that has a really bright and colorful world that'll impress all who get into it. There's tons of stuff to do for example customizing your character to an extensive degree, making many new friends across the game world, enjoying cool mini-games and simply exploring or hanging out while enjoying the vibrant visuals. Touch is a phenomenal game that takes the core concepts of virtual world games and blends them with some great dancing features. There are tons of cool dance moves to execute, a massive amount of character customization, multiple dance modes to choose from or even form a couple with someone and enjoy dancing together. To add onto all this, the graphics are gorgeous, character models are stunning and overall there's a lot of eye candy to enjoy. Similar to touch, World in Audition also puts a fair amount of emphasis on dancing. However, the unique part of this game is that there are multiple events that are constantly happening in which your character can participate for a shot at impressing the massive crowds and taking home some pretty significant winnings. Other than this, there's a pretty massive world to explore, shopping to be done and of course you can customize even the tiniest of your character's details. Avataria is a more classical virtual world game because it doesn't really focus on adding in new stuff into the mix but instead tries to execute the basics with perfection which it certainly manages to do so. 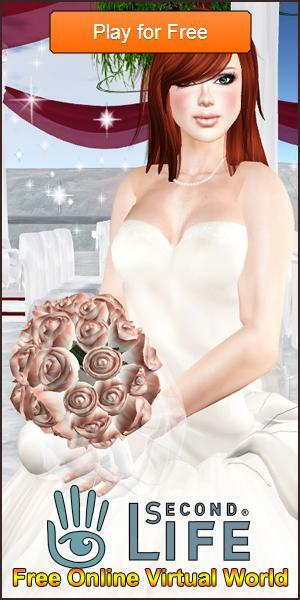 You can socialize and make many new friends, play really cool mini-games, explore the amazing game world that's full of sights to see or even marry someone who you've gotten familiar with. A high school setting for a virtual world game sounds like one of the perfect combinations and Monster High definitely proves that it is. There's an entire game section where you can play many classic games with unique thematic twists to them such as 'Cram Fest' or 'Ghouls and Jewels'. The level of customization in this game is overwhelming, it's one of the few virtual worlds that allow you to make your character look pretty much exactly how you want. Overall, in the pretty long list of anime themed virtual world games, the ones mentioned above stood out to us the most but rest assured there are many great games to be enjoyed in the genre and we recommend that you at least try a few out to see for yourself the fun and enjoyment that they have to offer.